Each person has a logical thinking. However, not all people can enjoy them to the fullest. Some have it more developed than others. But logical thinking can be trained with tasks. 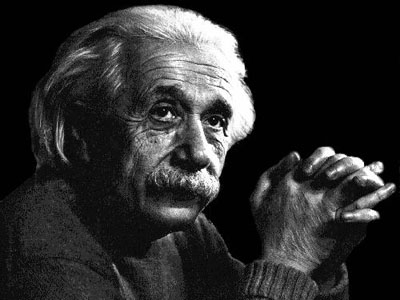 The riddle of Einstein is one of the most popular. To solve it in the mind is very difficult, but reaching the table, she loses much in complexity. Recall the essence of the problem. On one street there are 5 houses of different colors, they are people of different nationalities. They all drink different drinks, smoke different brands of cigarettes and bred different animals. Question: who grows the fish? 1. The Norwegian lives in the first house. 3. The green house is immediately to the left of white. 4. The Dane drinks tea. 5. The one who smokes Rothmans lives next to the one who grows cats. 6. One who lives in the yellow house, smokes Dunhill. 7. The German smokes Marlboro. 8. One who lives in the center drinks milk. 9. A neighbor who smokes Rothmans, drink water. 10.Anyone who smokes Pall Mall, raises birds. 12.The Norwegian lives next to blue house. 13.The one who raises horses, lives in the blue house. 14.The one who smokes Philip Morris, drinking beer. 15.In the green house drink coffee. Draw a table. Specify all the characteristics of houses and their rooms. Fill in the table. Let's start simple. So, the Norwegian lives in the first house (1), which is adjacent to blue (12). Consequently, house # 2 is blue. The owner of the Central house, i.e. number 3, drinks milk (8). Blue home grown horses (13). Now, logically, you can fill in the rest of the table. It is easiest to start with the string "house color". According to the problem, the green house is immediately to the left of the white (3). This home can be a No. 3 or No. 4. Green may not be the first house, because to his left is blue. We also know that in the green house drinking coffee (15), and in the house №3 drink milk. So, green house No. 4, respectively, building No. 5 - white. Learn the colors of the remaining two houses. It is known that the Englishman lives in the red house (2). In the first the Norwegian, then the Englishman lives in the house №3 and the color red. Therefore, the first house yellow, his owner smokes Dunhill(6). Now let's see what drinks I prefer these people. It is easier to determine what drink Norwegian. We know that in the third house, drink milk, and green coffee. The Dane drinks tea(4). The one who smokes Philip Morris drinks beer (14), but the Norwegian smokes Dunhill. From which we infer that he was drinking water. Go ahead. Find out who lives in a blue house. His owner smokes Rothmans and breeds horses. This is not a Norwegian or an Englishman. The Swede also can't live in this house, because he breeds dogs. Not a German, as he smokes Marlboro. So this is Dane and he drinks tea (4). Beer is drunk by one who lives in the white house and smokes Philip Morris (14). Unknown to us, the owners of houses No. 4 and No. 5. The German cannot live in the white house because he smokes Marlboro. So the Swede lives in the white house and breeds of dogs (11), and German in green. The table shows that the remaining brand of cigarettes (Pall Mall) the Englishman smokes, and he throws the birds (10). Norwegian, on the basis of section 5, growing cats. We have one who throws the fish is German. What at first glance seems insoluble, upon closer examination turns out to be simple. Logic puzzles - it's not just fun fun, it is workout for the brain. Uncle lived without a wife and without children, And was much more to many wonderful inventions in the fad will indicated That will be the one who'd guessed the Riddle from Einstein about the house and about the people, About who lived in them, and drank what had been arranged a competition among the servants and among Rodney Competed together, they first answered the question. Einstein's riddle — a logic problem known, according to legend, created by albert Einstein during his childhood. Also there is a perception that it is assuming that the first house on the right, get a little different situation but the same answer. Uncle lived without a wife and without children, And was much more to many wonderful inventions in the fad will indicated That will be the one who'd guessed the Riddle from Einstein about the house and about the people, About who lived in them.